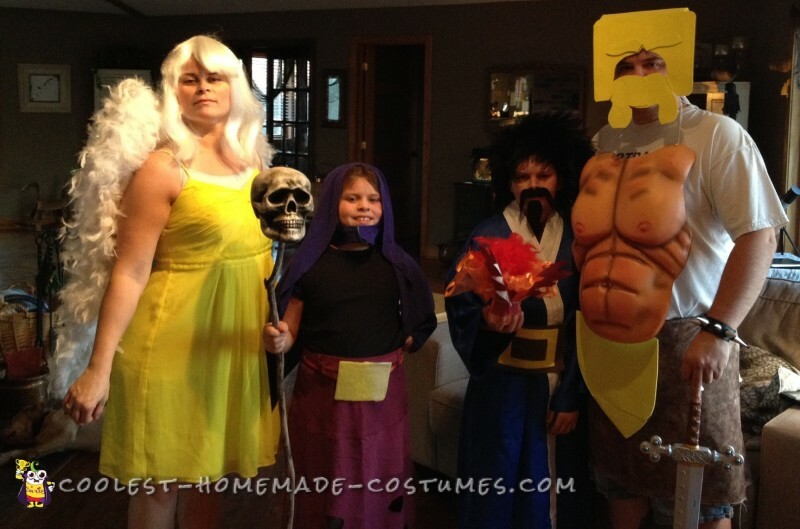 Our family decided to dress up as characters from the Clash of Clans video game. 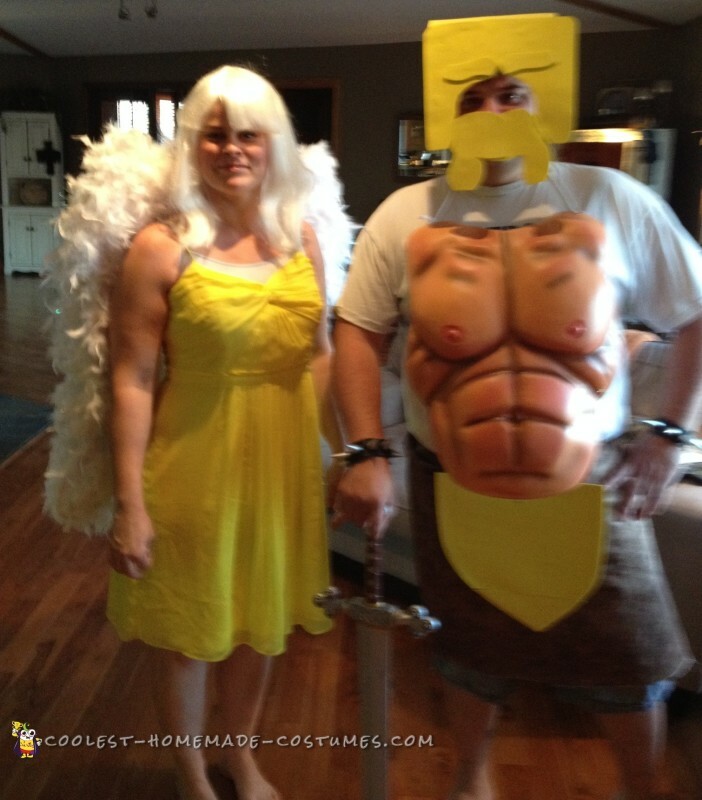 My hubby was a Barbarian, my son the Wizard, my daughter the Witch and I the Angel. Most supplies were bought at thrift stores and the dollar store. The barbarian head is constructed from a card board box and covered in yellow foam paper. It is attached to a ball cap. 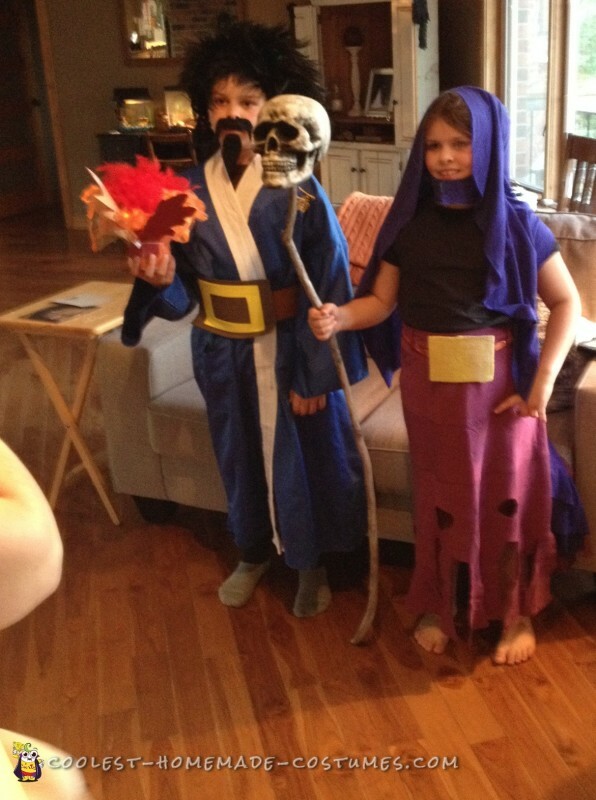 The Wizard robe is a karate robe find at the thrift store with an old bed sheet glued as the trim. 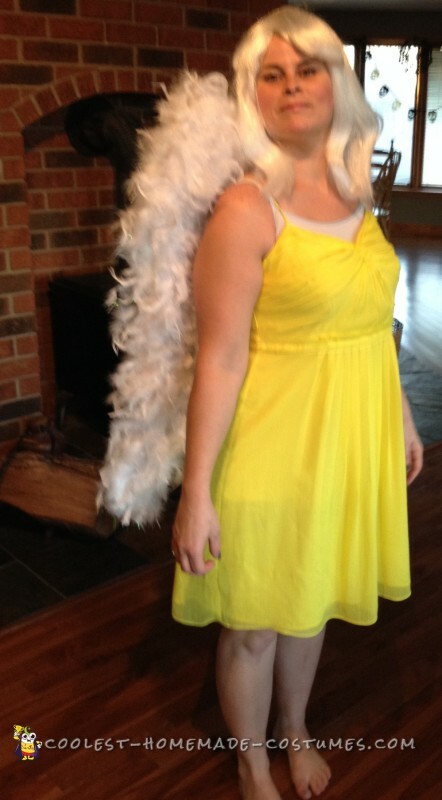 The Angel wings have been enhanced by gluing some feather boas to the existing feathers. A great costume for the entire family!